In this innovative book, print design concepts are united with graphic production technology information, providing readers with an understanding of the processes involved in both the design and print/publishing fields. While traditional books have viewed design and production as two separate fields of study, the rapidly changing technological landscape has blurred this distinction, resulting in an increasing amount of design and production activities performed by the same people. Therefore, this book provides designers and production personnel with a solid knowledge of both fields, which will better prepare them for success in the industry. 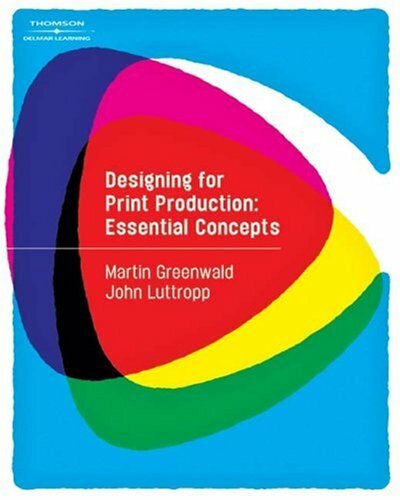 Designing for Print Production: Essential Concepts focuses on the content, concepts and instructional strategies that will be relevant long after the book has been read. By acknowledging the critical and changing technologies that will impact the design and publication process, this book is a comprehensive, valuable resource for anyone entering the design and production fields.